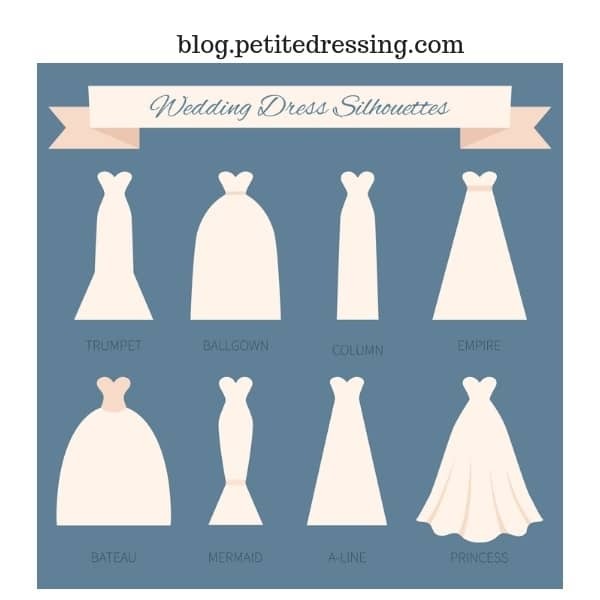 If you are searching for best wedding dresses for petite brides, either for yourself or someone you are close to, this is the post for you, by a short girl (I’m 5’2″) who has gone through that journey. A very happy journey, but it could also be stressful. If you are a petite girl, you may have been struggling to find clothing that fits you your entire life. You have the choices of a few (not enough) petite designers, and you could get by with certain styles of regular sizes (although you may have to take a lot of them to the tailors). Of course you may even have picked out a few things here and there in the junior department. You have made it through the dating scene and found the right guy, and finally, he popped the question. Now, here comes your big day! Have you been dreaming about this day since a little girl? Now, the biggest question for your wedding day. What is the best wedding dresses for petite brides? 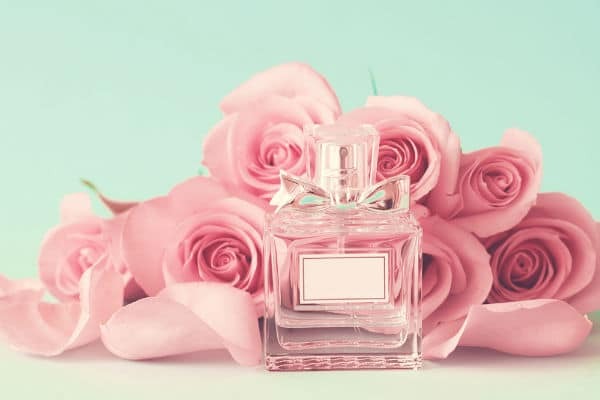 Given how difficult it has been for petite women to find anything that fits them, not surprisingly, it is not any easier to find the wedding dresses for petite brides. I went through this, so I can speak from my own experiences. This is me and my maid of honor before the rehearsal. There are not that many designers who make wedding dresses with the need of petite brides in mind, and it seems inevitable you always have to take them to the tailors. 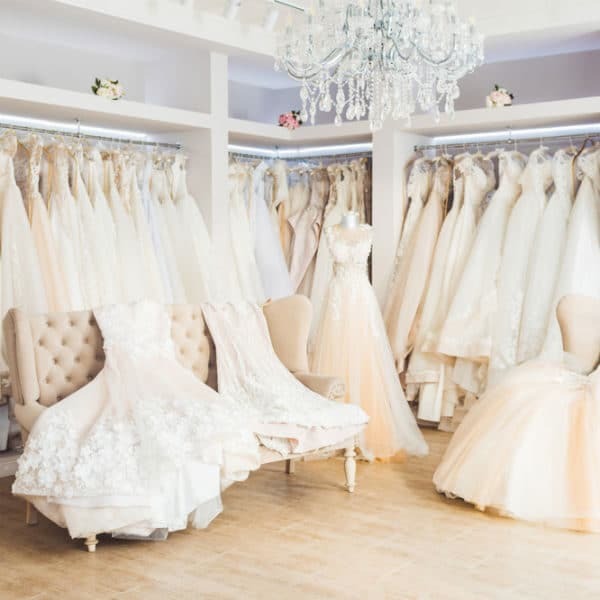 Still, it is useful to understand what to look for when you are searching for that one dress for your special day and know what works and what doesn’t, before you say yes to the dress. Okay, ever since you were a little girl, you may have decided you want to look like a princess on this special day of yours. What does a princess wear? Of course a big puffy white wedding gown with a veil dragging on the floor! Haven’t we been implanted this idea since we don’t even remember when? Now here is the reality. 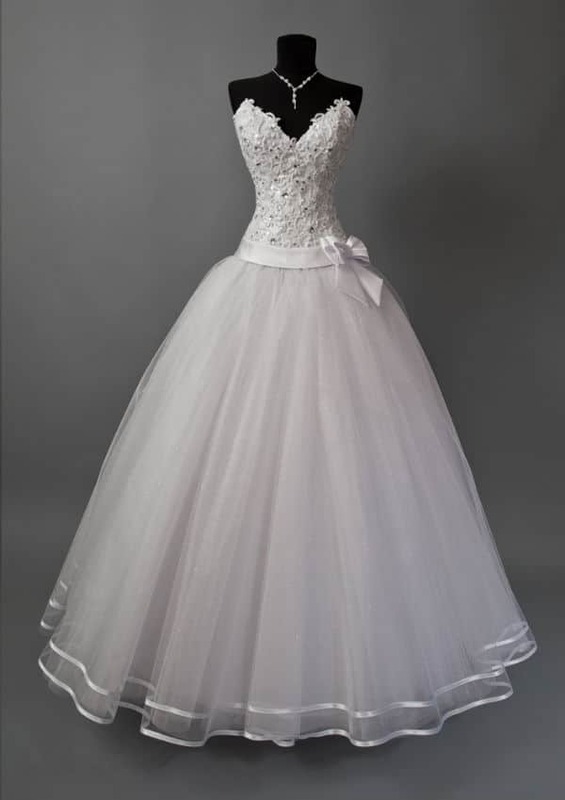 Those big puffy ball gowns are not very flattering for petite brides. I knew that from first hand experiences. When I was shopping for my dress, I had my eyes set on those Vera Wang for David’s Bridal collection. For a fraction of the price, I could enjoy the hottest designer Vera Wang. It doesn’t get better than that, right? So I went to David’s Bridal and tried on all the puffy gowns they had. None of them looked flattering on me. Some of them looked gorgeous on the shelf, but just not working for me. As I was standing in front of the mirror, I was trying to figure out what exactly isn’t working here. How come they all made me look….shorter? Yes, this is the kind of gown I am talking about. I will explain to you later in this post why the puffy gowns don’t work for a short person. What, then, should you look for? Is it the right length that you don’t have to take to tailors to hem? That would have solved the problem if you were looking for a cocktail dress, or even bride’s maid’s dress, because in most cases, petite women are bothered by the length of the garments. When it comes to wedding dresses for short brides, however, length is not the only thing. Why? Wedding designers don’t make dresses according to brides’ height, unlike pants. Even if the bride is 5’5″, she probably still has to go through rounds of fittings and alterations in order for the dress to fit well. For regular dresses, you can just look for the petite sizes. However, for wedding dresses, it is not as simple as finding the petite sizes. 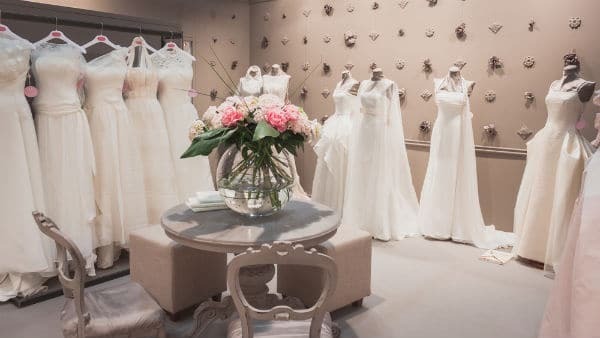 If you long looking for a long wedding gown, be prepared you most likely won’t find something that’s ready to wear off the shelf (short wedding dresses are a different story). I wish I could tell you to go to this petite designer or that petite size retailer and they got the petite wedding dresses you don’t have to tailor. I haven’t found any. 1. Flattering silhouette to a short bride. Silhouette is the foundation. Have you always heard of the word but not sure what it means? When you look at the Eiffel Tower or the Pyramid, what do you notice first? It is the outer shape. You may not remember the color or the construction material of architecture, but you won’t forget the shape of it, i.e, the silhouette. That is how important silhouette is in fashion, especially in petite fashion. In fashion, there are many different silhouette, i.e. the trumpet, ballgown, mermaid, A line, princess, etc. We will look at which shapes are most flattering to short brides later in this post. Not all the short girls want to look taller. It is fair enough to say that we all want our proportions to look better. Proportion is such a key concept in petite style and it should be the core of your wedding day style too. Wedding dresses for short brides should be constructed to elongate the legs and create the illusion of height. That is why those puffy ball gowns won’t look good on a short person. 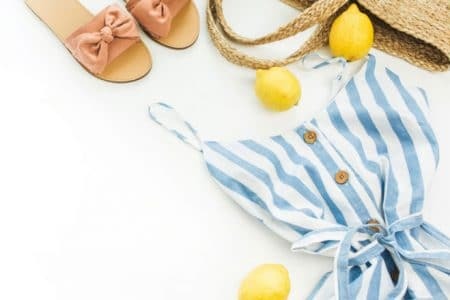 They extend you h(Read What is Petite to understand basics of petite body features and The 9 Best Petite Fashion Tricks of All Time on how to dress to flatter petite body in general). 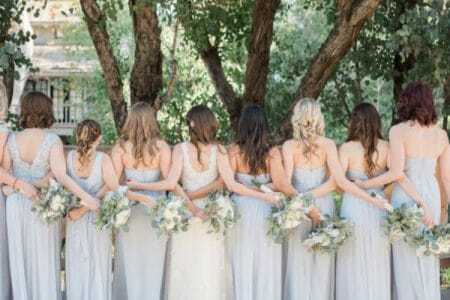 As a petite bride, look for the following bridal style instead. 3. It should create length. Does this mean wedding dresses long enough will look good on a short bride? It is not that simple. 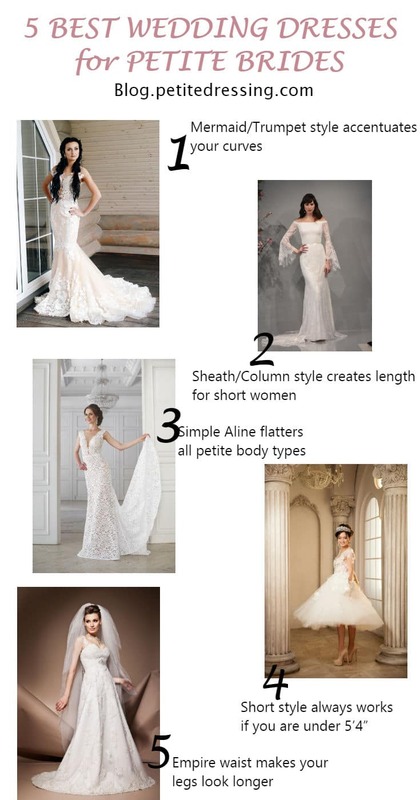 The ideal wedding dress for short girls need to create the illusion of height through a long and lean shape. In other words, it should go vertical, instead of horizontal. Now, do you know why big puffy gowns don’t look good on short brides? I bet you already figured it out why. Puffy gowns extend you horizontally, which is the opposite of length. Now you have the foundation of what you should look for in a wedding dress, we will take a look at the styles that have proven to work on shorter brides. This is the most feminine style that flatters many different body shapes, and works perfectly for petite brides. It hugs at the midsection and flares at the skirt like a fish tail. 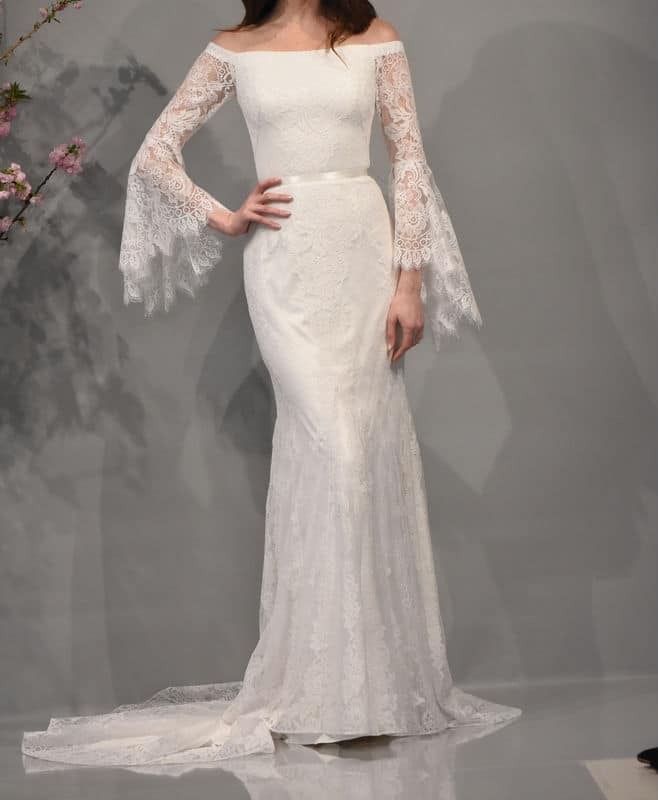 For petite brides who want to ditch the ball gown wedding dresses but still are interested in a little bit of drama, the mermaid style will make you feel glamourous walking down the isle and give you the moment of “red carpet” feel. Mermaid/Trumpet style emphasizes bust and hip, so they are the best wedding dresses for petite brides who want to show off their feminine curves. The flare skirt has moderate volume and will not overwhelm the petite frame of short brides. Look for elevated waistline (i.e. above your natural waistline) so that your legs will look longer. This style is designed in such a way that the seam runs vertically from the shoulders down to the hips. They are meant to be one of the best wedding dresses for petite brides who love simple and minimalist design. Many brides love sheath dresses made from chiffon material because the drape of the fabrics really accentuate your figure and appear remarkable as you walk down the isle. Because most sheath wedding dresses are light weighted, they are perfect for outdoor weddings and especially destination weddings in a resort setting on the beach (they are so easy to pack and go and you will be ready for your big day!). If you are a petite bride with a nice figure, let the sheath dress hug your body instantly and show off your natural curve. Sheath wedding dresses also help butter up your figure and give you that long and lean silhouette needed by short brides. A line dresses are ideal for petite brides because they hug at your hips to accentuate your waist line of your body. Like the letter A, this style has the look of a tightened hip line that gradually broadens all through the ankle. This style a classic wedding dress suitable for a traditional ceremony at the church or a casual ceremony, and really, it works for any other types of wedding settings too. If you are a petite plus sized bride, A line dress will work especially well for you because it instantly crates a figured silhouette and emphasize your charming assets of the body. 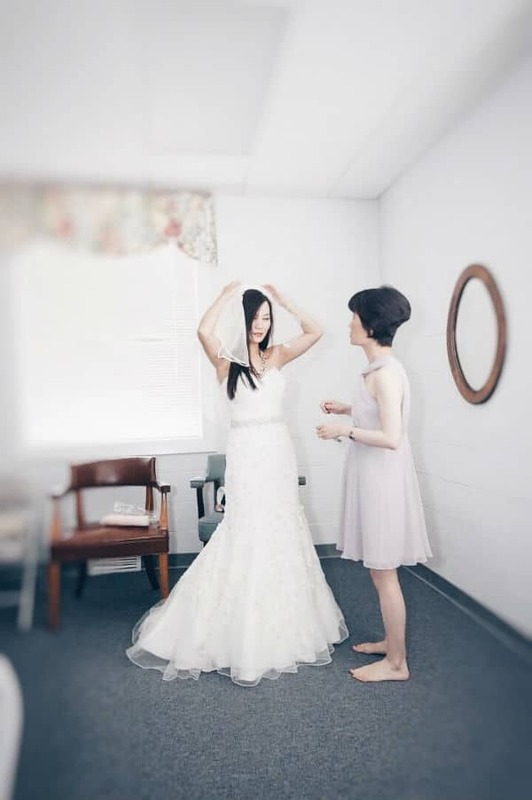 Now, if you are a short bride, keep in mind you want a simple A line, nothing that overwhelms your petite body frame like the exaggerated ball gown style (which also creates an A shape). The right A line dress will make you feel the most beautiful bride of the world without too many details or accessories. If you want to opt for something different than the traditional wedding gown, go for a short wedding dress. There are many wedding designers who now offer short style for your special day. Short wedding dresses never disappoint petite girls- they are one of the most obvious choices on our list for best wedding dresses for petite brides. The reason is quite simple- they show off your bare legs and make you look taller. They are also simpler than other wedding dresses and will not look you are being worn by the dress. 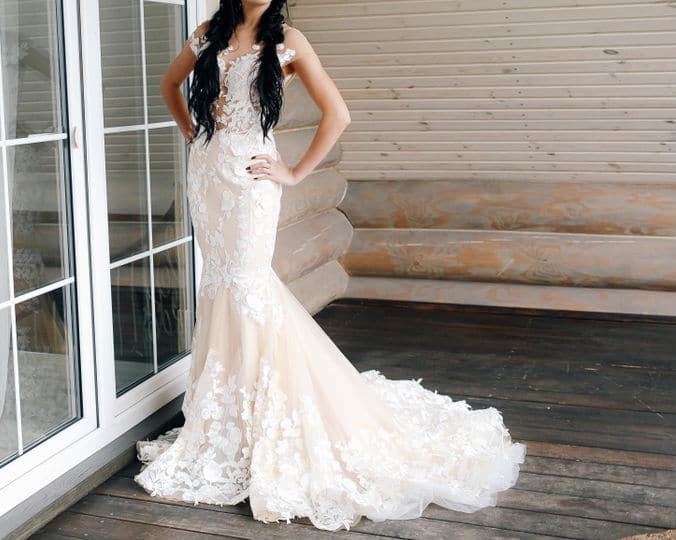 With a short wedding dress, you can feel free to get the embellishments and laces you desire without having to worry you are over accessorizing. Short wedding dresses are suitable for petite brides who want to try something different. They are perfect for outdoor ceremony, as it is so much easier to walk down the isle without a train dragging on the grass! And of course, they are your best bet for destination wedding as well, given how much smaller they are than full length wedding gowns which make it super easy to pack and care for during your trip. According to Wiki, empire waist is a high waistline that cuts horizontally across the body, just below the bust. This waistline gives a long, slender look and excellent fabric drape in the skirt and allows for short, inconspicuous shaping darts. Empire style wedding gown is defined by the raised waistline which sits just below the bust from which the rest of the dress flows down to the hem. Skimming over the hips and tummy area, this silhouette is perfect for any short brides, and especially flattering for pear-shaped brides. 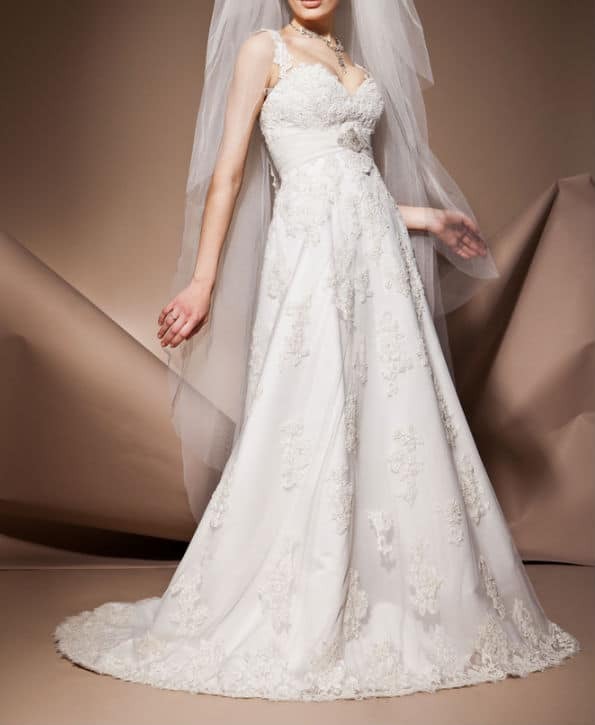 The high waist line followed by the skirt of the gown will create the perfect illusion of length and perfectly camouflage the heavy bottom of the pear shape. The waist line design is essential no matter what kind of wedding dress you are getting for your big day. In order to emphasize your waistline, you can also wear jeweled belt and ribbon on the fitted waistline makes you look slimmer and shaped. Now you know the best wedding dress styles for short brides, but that is just one piece of the puzzle, perhaps the largest one. What next? Finding the right shoes and accessories. It goes without saying you should be wearing heels on your big day. Have you had your eyes set on that gorgeous stiletto? Well, I don’t blame you, because this is the one day in life that is all about YOU and most of us would take advantage to get everything we have ever wanted for this day. But, in addition to style, the most important is comfort! Think about it. You need to be walking or standing for the most part of the ceremony, and then you will be dancing (I hope) for the most part of the reception. I am sharing with you the best tips and tricks in my blog post on “7 Tips to Wearing Comfortable Heels all Day”. Chi is 5’2″ founder of Petite Dressing, an online petite clothing store dedicated to women under 5’4″. Petite Dressing blog is here to help you understand yourself, such as your petite body type, and look your best ever. If you are new, start here. Comment below and share your thoughts about this post!